Beautiful Lakefront Home in Private Gated Community! 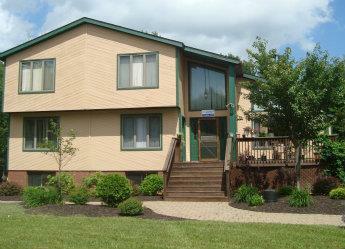 Charming 2 bedroom, 1.5 bath home with lakefront access and its own dock. This home features a large wrap-around style deck showcasing amazing sunset views overlooking Dresser Lake. Floor-to-ceiling windows on the back deck complete your expansive views to enjoy directly from the living and dining rooms. With a cozy fireplace to keep warm and four ski resorts within 30 minutes, this home is a true retreat.. Offered by Ginger B Realty, 570-894-3400.